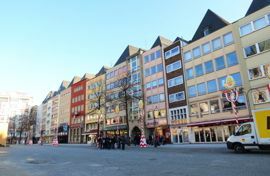 Cologne is an ancient city with a rich history. From Gothic churches to Roman towers and modern architecture pieces, the city impresses visitors from around the world. Around six million people come to explore and admire the numerous sights of this city. 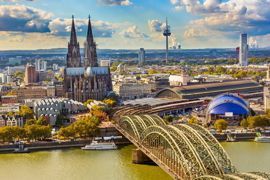 And if you and your friends want something new in Cologne, 8Rental can hint about some fascinating off the beaten path destinations. There are some fantastic unusual museums such as the Museum of Applied Art, Rautenstrauch-Joest-Museum, Melaten-Friedhof, and others. All of them are beautiful points to start your travel. 8Rental has a special offer to all those who need reliable transportation in this city. 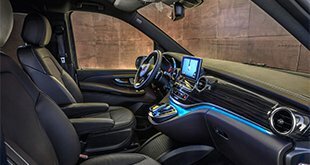 It's possible to rent a van with a driver in Cologne before leaving for the town to save your time and head to your hotel in complete comfort. So, traveling in Cologne with a large group of friends can be a mere pleasure and fan if you choose 8Rental as your "companion." Send us a quote as soon as possible so that when you arrive in the city, the best means of transportation will be waiting for you! When sending the quote, you need to complete the form and state such information as trip and transport details. It will include the trip type, the pickup and drop off addresses, the number of passengers, the van model, as well as any additional demands you might have. Once you have stated all this, it's time to provide your personal information involving name and surname, contact number and email. You see that it won't take you more than a couple of minutes to fill in this quote. Before you hire a chauffeured minibus in Cologne, it's worth determining which model will best suit your requirements. 8Rental presents a couple of van models on its official website. If you can't identify which to book or find none meets your demands, our CS operators will gladly offer the best solution for you. For exploring the beauties of Cologne with a group composed of up to eight persons, a Mercedes Viano is quite a decent variant. This vehicle looks elegant and is equipped with a series of amenities for providing comfort and security on the road. The model is available in standard and business classes. There are specific differences between the two models. Another fabulous minivan 8Rental car and driver supplier has in its fleet is Mercedes Sprinter. The latter will drive up to twenty-four passengers at once. It is a large vehicle in excellent condition! Additionally, it's applicable in VIP class, too. Hence, depending on the money, you can afford on booking the van, pick up the suitable one! Our staff of drivers is built up of credible experts who demonstrate a responsible approach to every order. 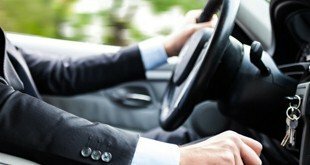 All of them are licensed, have much practice in the field of passenger transportation, are always sober, and can find any direction necessary instantly. What makes them different is the language they speak. Admittedly, all of them master German, but there are also those who speak English, French, Italian, and other. Choose the chauffeur that speaks your language. This way, you will have the chance to communicate with him and learn additional information about the city. Hire a chauffeured minibus in Cologne and enjoy safe and professional transportation in this European city.